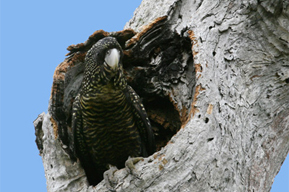 Volunteer search groups will be allocated one of around sixty sites in stringybark forest to search for the birds, across the species range in the South-east of SA and South-west Victoria. 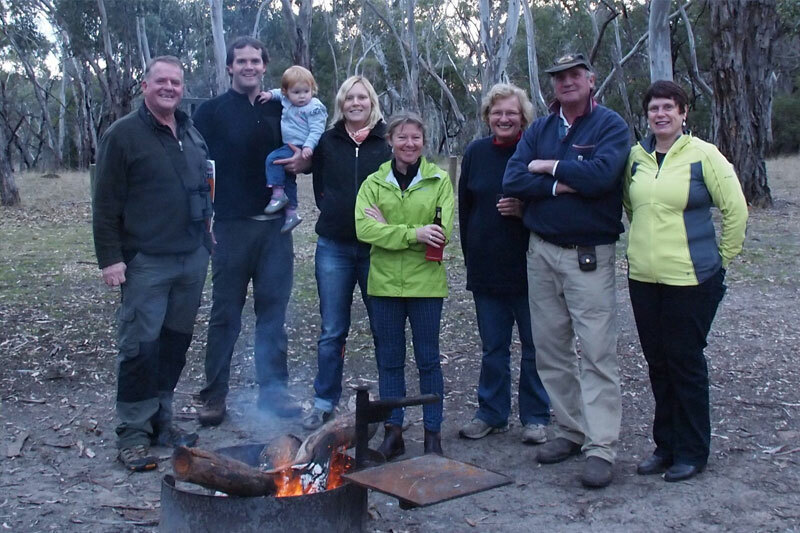 Landholders who have stringybark on their property are also encouraged to join in the fun and search their own property on the day. You can request a particular area to search when you register, or nominate to search your own property. Almost all of our search sites (except for those searching their own properties) will be located on public land. 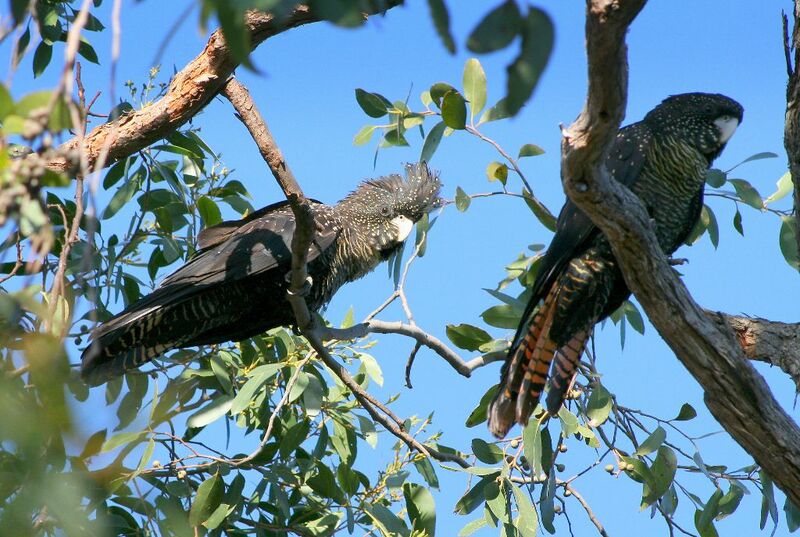 While the Recovery Team encourages volunteers to search all freely accessible habitat for cockatoos, it emphasises that care must be taken not to trespass on private property when searching for birds. We continue to take registrations up to two weeks before count. Then we allocate all of the sites and mail out (or email) a package of instructions, including a map of your area, in the fortnight leading up to the count. This year we will be again running an annual count training session on the morning of the count to help those who haven’t participated in the count before or feel they need a little more hands-on experience in searching for Red-tails. It’s also a time for older hands to share their experience as well. Everyone is welcome. Following the count, another Bailey’s Rock Campout is planned to close out a big day of counting and give participants an opportunity to compare tales. More information on training sessions will be provided soon. Last year we gave participants the option of choosing one of two different search methods to locate birds. There was a fairly mixed response, with more participants opting to use ‘the drive in the park’ method over the ‘scientific method’. This year we will be again offering the different methods and asking that all participants continue to accurately record the number of kilometres travelled in Red-tail habitat and the route taken (to be marked on the map) while searching for birds. Ideally, for continuity of data it would be great if returning participants, where possible, are able to search the same area and route travelled as per last year, using the same methodology. Repeat measures using a standard methodology, if adopted by enough users, would enable us to determine density estimates which could then be used to estimate population size (something we have not been able to do in the past from this data). While this is important, we recognise that this is sometimes not possible and will always do our best to accommodate our volunteers’ needs. To ensure the safety and well-being of our volunteers while searching for cockatoos, we will be again asking that all our volunteers complete a declaration form to ensure that they aware of and understand the risks involved in participating in this activity. This will be sent upon registration. 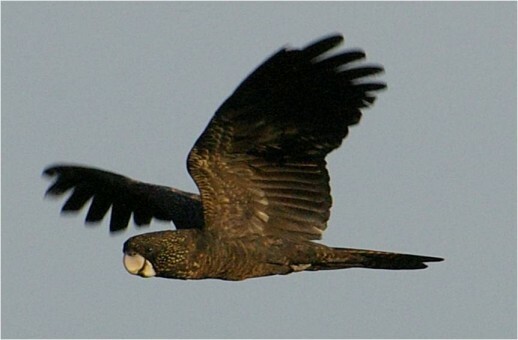 Quite often we find large flocks on the day feeding in stringybark or drinking from troughs located on private property. Hence, we really appreciate if landholders who notice birds on their property to report all sightings by calling 1800 262 062, even if they have not registered. The same goes for anyone who observes birds on the day that have not registered to participate. The count helps us to gain important information on the location of large flocks, patterns of habitat use and the minimum number of birds, however its success relies heavily on sighting information that we receive in the weeks leading up to the count. If you see Red-tails from now onwards please report all sightings to Freecall 1800 262 062 or via our website www.redtail.com.au. The Recovery Team values the incredible effort of all volunteers to help search for these colourful cockatoos, and looks forward to hearing from both returning and new participants. 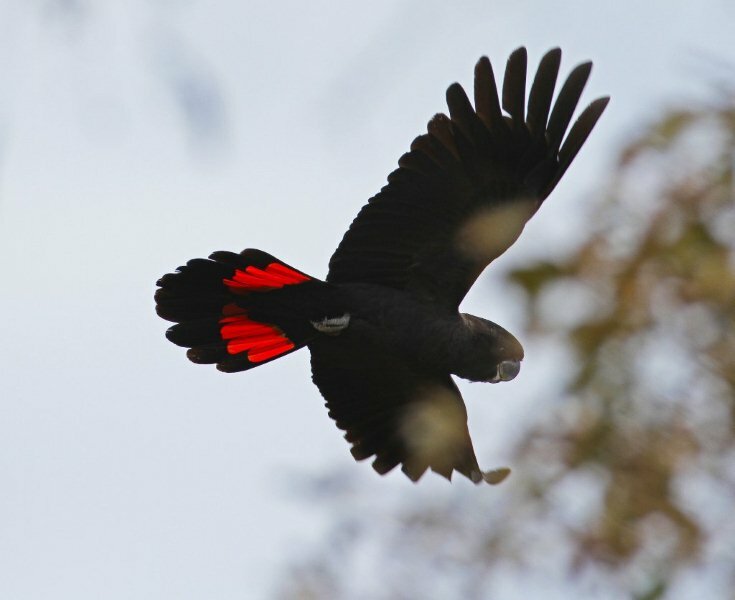 Although we can’t guarantee you’ll see a Red-tail on the day, we’re sure you’ll enjoy a fun day out in the bush searching for our colourful cockatoos. 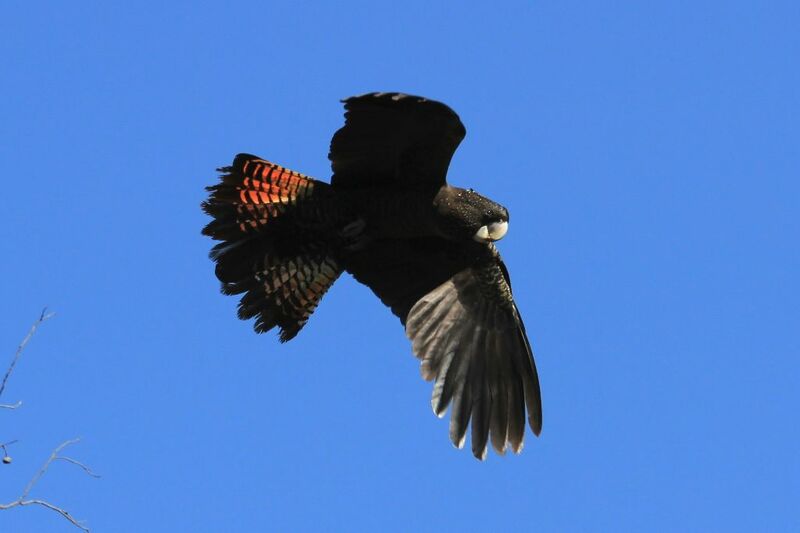 To register your interest or secure your search area for 2013, please contact the Project Coordinator, Bronwyn Perryman on 1800 262 062 or email redtail@birdlife.org.au.